Leica Sport Optics (Wetzlar) is offering a new ‘Closer to Nature’ package comprising a Leica APO-Televid 82 W spotting scope, a Leica 25-50X WW ASPH. wide-angle zoom eyepiece, a Leica Extender 1.8x, a Gitzo Mountaineer tripod and a Gitzo 2-way fluid head. Customers purchasing the high-quality set enjoy considerable savings in comparison with the recommended retail price of the individual products. The Leica APO-Televid 82 W spotting scope with angled viewing delivers an image with excellent colour fidelity, outstanding sharpness and high contrast. The APO-Televid 82 fulfils the most stringent demands on a high-quality spotting scope, is particularly compact and impresses with outstanding close focus performance. Its rubber-armoured magnesium body makes it extremely robust and resistant to impacts and all kinds of weather conditions. Thanks to AquaDura® coating, the front lens of the APO-Televid 82 is water and dirt repellent. In combination with the Leica 25-50X WW ASPH.wide-angle zoom eyepiece, customers can look forward to unrivalled image quality across the entire field of view – – without any constraints and throughout the entire zoom range. Anyone wishing to observe the fascinating details of nature must get as close as possible. Leica developed the Extender 1.8x for Leica APO-Televid angled spotting scopes with this in mind. 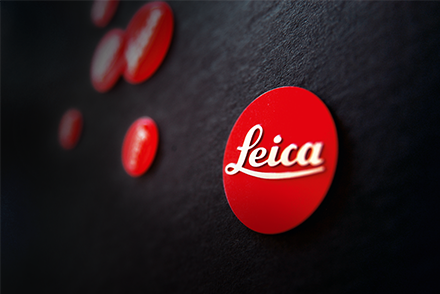 In combination with the Leica eyepiece, it enables increased magnification in a range from 45x to 90x. This previously unheard of extension of the zoom range offers unique opportunities for observing wildlife, nature and the sky at night. The ‘Closer to Nature’ package from Leica also includes a Gitzo Mountaineer tripod (Series 2, GT2542). The Mountaineer family of tripods from the premium manufacturer Gitzo encompasses universal carbon tripods that are distinguished by particularly high torsional rigidity and extremely low specific weight. The Gitzo Mountaineer tripod with four-segment legs offers a perfectly balanced ratio of dimensional stability to lightness. The Gitzo 2-way fluid head (Series 2) contained in the ‘Closer to Nature’ Package is distinguished by a fast and efficient locking system and is simultaneously particularly compact and light. The Leica ‘Closer to Nature’ package will be on sale in Leica Stores and at authorised Leica dealers from August 2017 at the specially discounted price of €4,225 (recommended retail price).